Dolch sight words are introduced to students each year from kindergarten through third grade. Dolch sight words become the vocabulary basics. 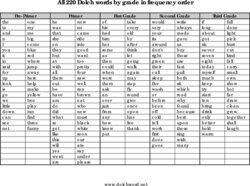 The list of 5th grade Dolch sight words would be those basic words. This is a good classroom game for spelling and can be played by two students or two teams. There is another version that you can call Melting Snowman, Disappearing Man, or Invisible Man. It is like reverse Hangman, where you draw two figures on the board with an equal number of parts. They can be stick people, snowmen, or any thing else that can have between 12 and 15 parts. Students take turns saying a word, spelling it, and saying it again. When one team member spells a word right, one part of the other team's man gets erased by him or her. The winner is the team which has a part of its man showing after the other one disappears or melts. This game could also be used for vocabulary practice. One student is the "bee" and stands behind another student's desk. The student sitting has to spell the word. If he or she is correct, he or she becomes the "bee" and the former bee sits in that desk. If the student misses it, the whole class spells it together. You can keep the other students engaged by letting them give a "thumbs up" or "thumbs down" after each student spells a word. At ABCteach.com you can make your own word search puzzle to print out and use in the classroom. Just pick the size of your puzzle, type in the words, and it will instantly create one for you. 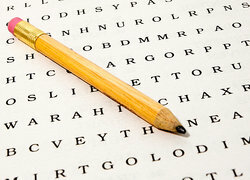 At Puzzlemaker.Discovery Education.com, you can make word search puzzles and crossword puzzles. For the crossword puzzles, you type in the words and their definitions. This can help both vocabulary and spelling. Tools for Educators has many word games that can be printed out and used in the classroom. It also has worksheets, bingo, and a crossword puzzle maker where you can make your own using words of your choosing. Angel Fire has great resources for teachers. This is a one stop site because it has many links to resources for teachers. It has worksheets, games, and flash cards, just to name a few. It is definitely worth a look. If you are looking for one site that has links to a lot of educational games, Gamequarium is it. Although it does not give specific grade levels, it covers many of them. Clicking on vocabulary gives you choices like: Analogies, Antonyms, Categorizing, Context Clues, Homophones, Prefixes, Root Words, Suffixes, Synonyms, and Word Meaning. "5th Grade Dolch Sight Words." YourDictionary, n.d. Web. 24 April 2019. <https://education.yourdictionary.com/for-teachers/5th-grade-dolch-sight-words.html>.